Home › Blog › We Love Apologia Sale! We are extending the sale for one more week! So many specials to choose from! Actually ROGO sale, but who would know what ROGO meant? Haha! This Apologia sale gets even better! 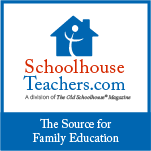 Michelle Osborn the founder and owner of Yellow House Book Rental, a service to homeschool families. She is a 21-year homeschool veteran of four, two married, one in college, and one teenager at home.